Today National Food Day is being celebrated in America with the main purpose being to promote a better food system. They are calling on all food movement leaders, both internationally and at home, organizations, nutrition professionals, labor leaders, environmentalists, farmers, chefs, authors, cookbook writers, parents, kids and teachers,you and me, to come together to unite their belief in a better food system. 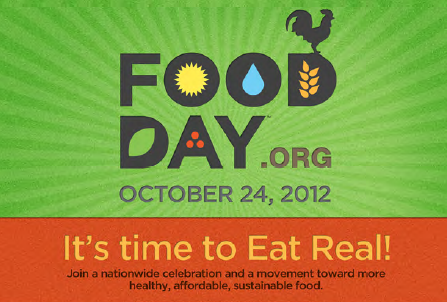 So National Food Day is inviting everyone to get involved to help spread the Food Day’s message! Food Day doesn’t take any money from food companies (or any companies, for that matter). So they depend on people like you to spread Food Day’s message far and wide via social media. 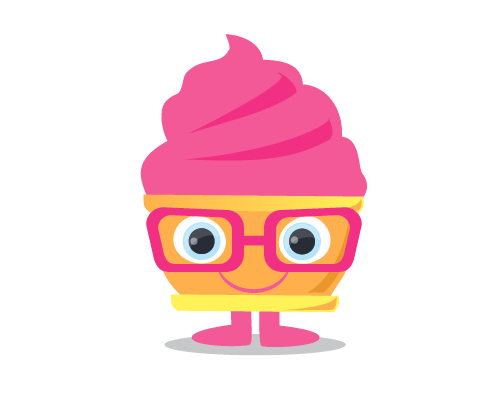 If you’re hosting an event, you can use Facebook to spread the word and collect RSVPs. But even if you can only “like” Food Day on Facebook, Tweet about Food Day, Pin on Pinterest, or share Food Day news on Google+, LinkedIn, Reddit, Tumblr, or Digg, you’ll be part of a movement that is changing the way everyone eats—for the better. So why not recruit your friends, plan an event or a picnic, have a dinner and invite everyone but make sure it is healthy and local. Then you can take a photo of your event and put it on Facebook or Yumsy (a social pinboard for food) and then you can do your bit to help promote healthy food. Just by spreading the word and sharing with friends, family and work colleagues you will be doing your little bit to make sure that more people are becoming aware of eating healthy. Let us know what you will be doing and how you have shared, or, just your interpretation of what better and healthier eating should be.